Hyperion Studio The Disney brothers moved their Studio from the original Kingswell Avenue location to 2719 Hyperion in Los Angeles in January 1926, and named it The Walt Disney Studio. 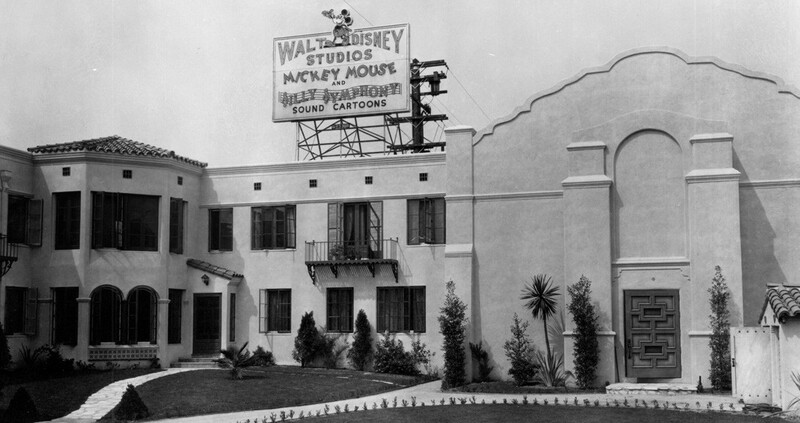 Over the years, a number of buildings were constructed to house Walt Disney’s growing staff. It was at the Hyperion Studio that Mickey Mouse was born and Snow White and the Seven Dwarfs was produced. But, with the success of Snow White, the Disneys needed more space to increase production and none was available at that location. So, they searched for a new site, which they found in Burbank. They moved from Hyperion to Burbank around January 1, 1940. The move was completed on May 6, 1940. A few of the Hyperion buildings had been moved to Burbank, but the remainder were sold, and 26 years later they were razed for a supermarket.